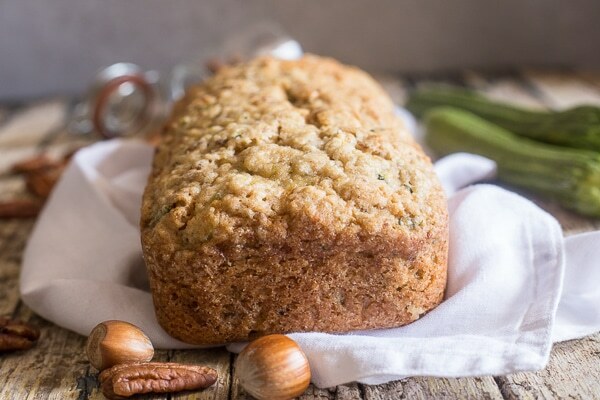 A moist and easy Zucchini Bread filled with pecans. The perfect snack or dessert bread. 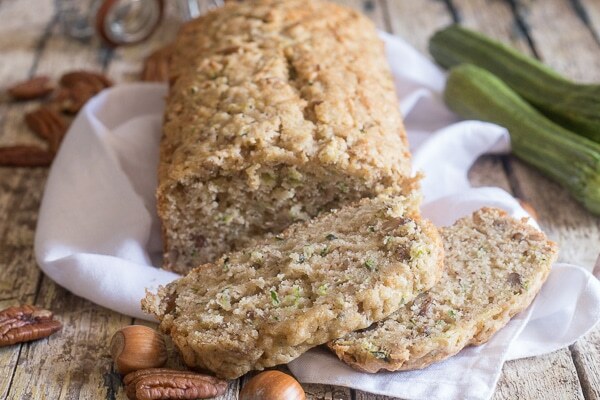 Make the best sweet loaf recipe with summer fresh Zucchini. I made this Delicious Moist Sweet Bread a couple of months ago and took it over to my sister-in-law’s when relatives were visiting. 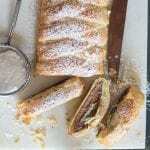 My husband’s aunt had mentioned a couple of times that she would love to taste something sweet made with zucchini. 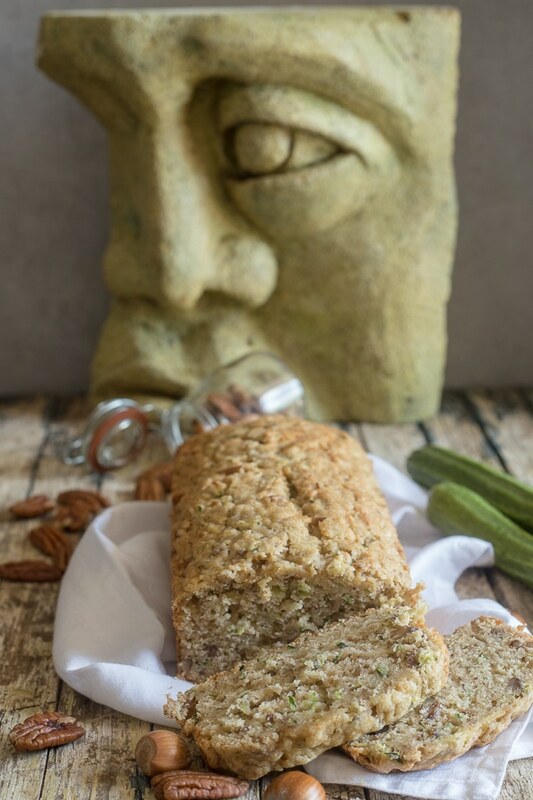 Zucchini bread also surprised my father-in-law when I first made it. He didn’t like sweets very much but he loved Zucchini Bread. So when I took it to the house I was hoping everyone would try a slice and I could see what her reaction would be. She thought the loaf was for her and in her bag it went. Haha! A few weeks later we went to visit them in Frosinone, so needless to say I asked her how she liked the Pecan Zucchini Bread. She proceeded to tell me that she had a slice or two everyday, and did you know it was delicious with her morning coffee for breakfast? She also mentioned that her daughter-in-law came over one day but she liked it so much she decided not to share! 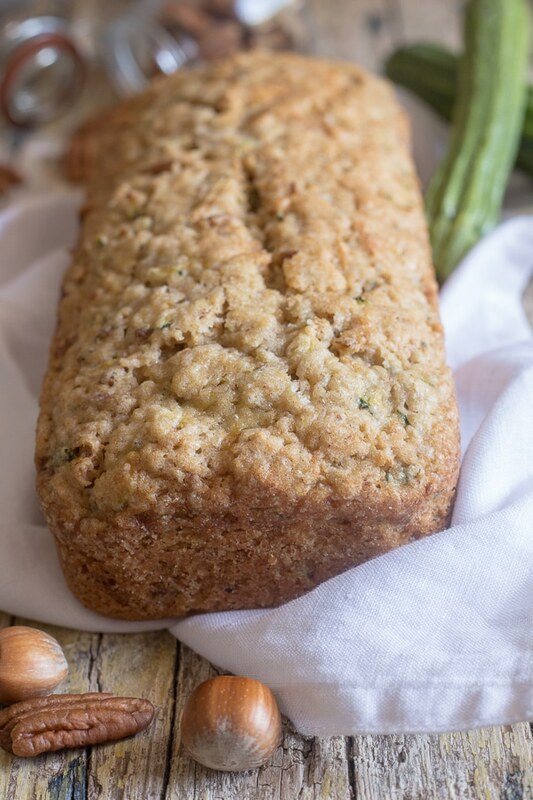 So yes I am going to say that this is one of the Best Zucchini Bread Recipes I and a lot of other people say it is one of the Best. Spoon into loaf pan and bake. 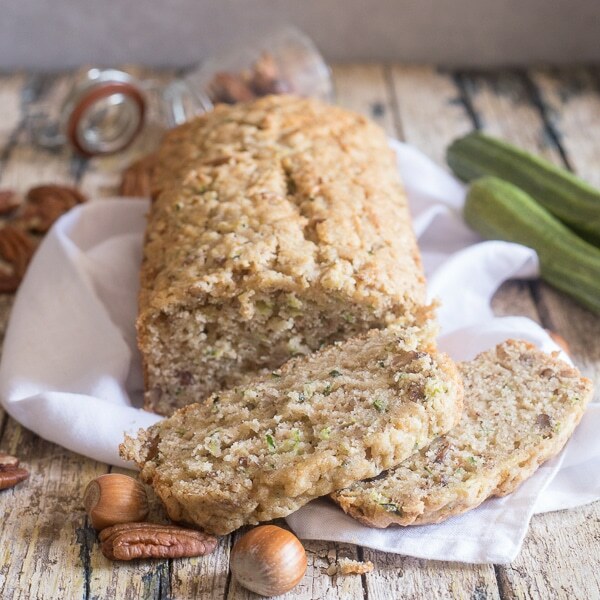 I loved adding some chopped pecans to the loaf but you could also use hazelnuts or walnuts if you prefer. I used a 9 x 5 inch loaf pan but you could actually use 2 small one and freeze one of the loaves if you would like. 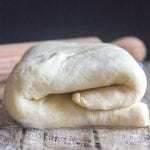 Freeze the loaf in a air tight zip lock bag and it will keep in the freezer for at least 3 months. This loaf really doesn’t need any glazes or frosting it is perfect just how it is. So just slice it up and serve with a cup of tea or coffee. Enjoy! 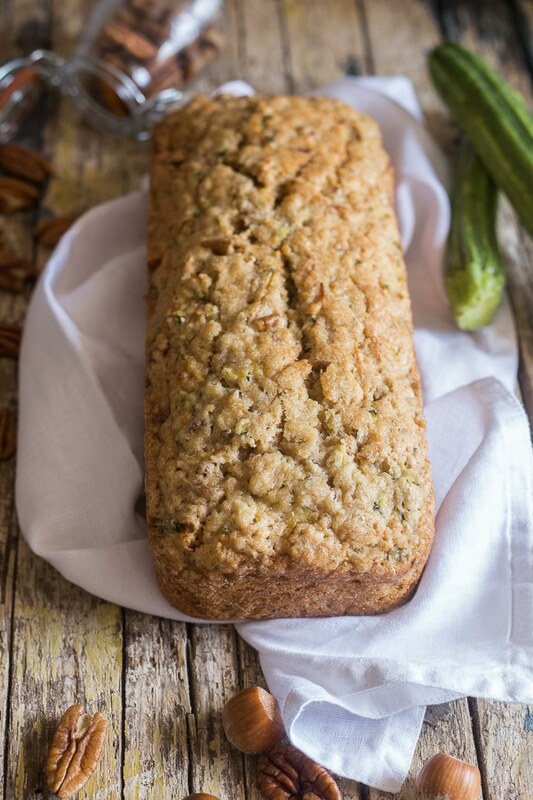 A moist and easy Zucchini Bread filled with pecans. 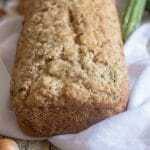 The perfect snack or dessert bread. 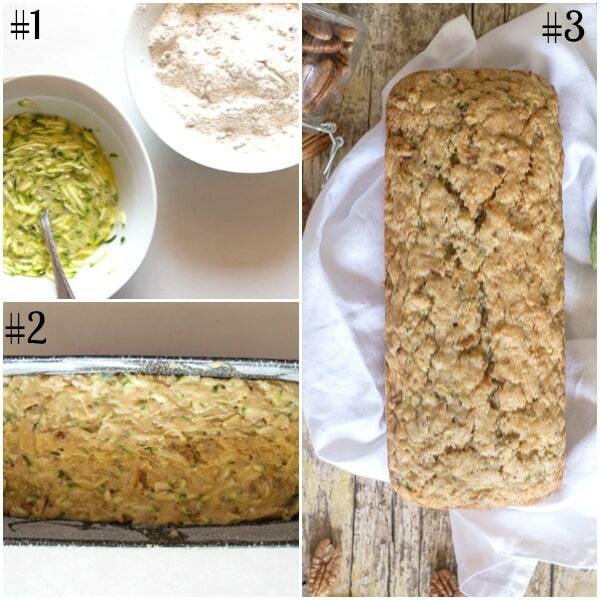 Extra Zucchini make a sweet loaf. Pre heat oven to 350 F (180 C) and grease and flour a 9 x 5 inch (22 x 12 centimeter) loaf pan. Shred the zucchini and squeeze out excess moisture. Set aside. 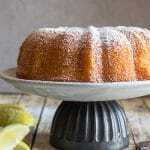 In a large bowl whisk together the flour, sugars, baking powder and salt. In a medium bowl add the eggs and beat slightly with a fork, then add the vegetable oil, zucchini and vanilla. Combine with the fork. Pour the egg mixture into the flour mixture and stir just until combined (approximately 18 stirs). 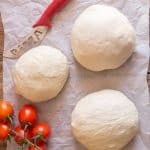 Spoon batter into prepared loaf pan and bake for approximately 55 - 50 minutes. Test for doneness with a toothpick. Let cool before serving. Enjoy.